CubeSats are miniature satellites first developed by California Polytechnic State University and Stanford University in 1999. 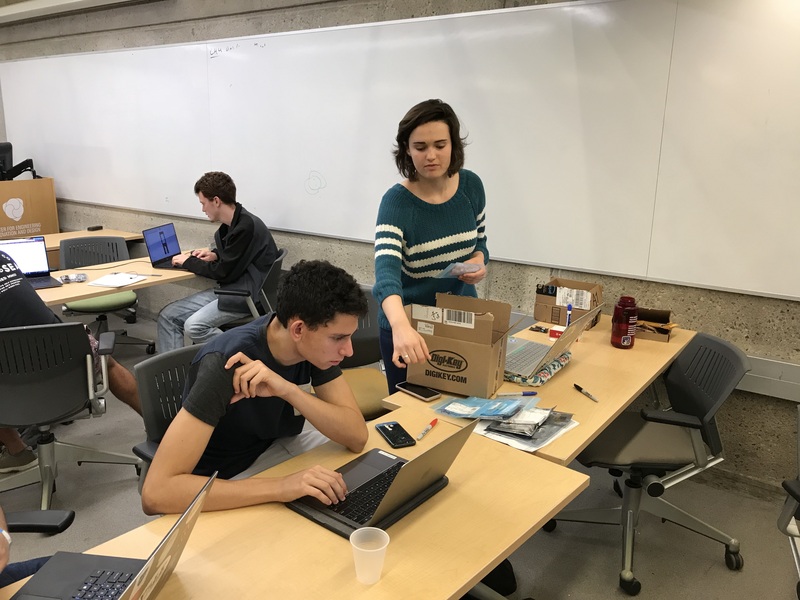 Intended as a standard, inexpensive design that can easily fit alongside larger satellites aboard launch vehicles, the CubeSat model has given student groups, hobbyist organizations, and research teams operating with limited funding or experience unprecedented access to space. CubeSats are built from a modular structure of 10x10x10cm cubes (hence the name), and feature a wide variety of commercially available off-the-shelf components designed to fit the structure from various manufacturers. Since the program’s adoption, hundreds of universities, companies, and research teams have followed the design standard and successfully launched their own CubeSats conducting space exploration, scientific research, and technology development. Progress is the watchword of the CubeSat project this year. The team saw several exciting developments last semester, which have set this spring up to be a productive one. After conducting an extensive review process of the project with faculty, the team submitted a 43-page launch proposal to NASA on time, with an expected launch timeline of 1-2 years. The team expects to hear back from NASA this spring. We also researched and selected the blueprints for a cosmic ray detector. We will prototype the detector this semester using parts that we purchased under a student project grant from the NASA Connecticut Space Grant Consortium. The radio ground station’s construction is well under way, and we hope to finish work this spring. We’ve decided on a power architecture, and bought batteries which we will test this term. The power team will also begin researching and developing a static solar system to power the satellite. The mechanics team, meanwhile, has started working on a more accurate SolidWorks model of the spacecraft, and is taking a closer look at the sensing data we have, and what sensors, if any, we need. 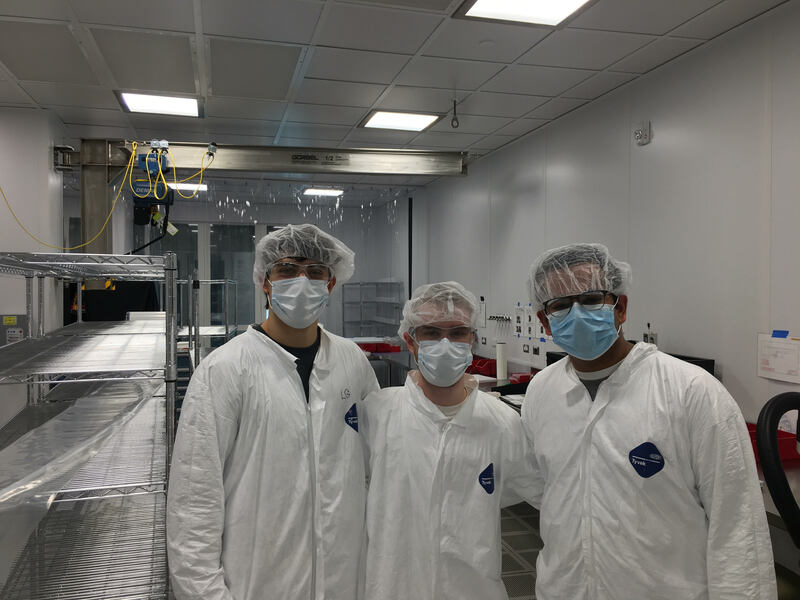 Three team members also completed cleanroom training at Wright Lab, and we look forward to setting up an engineering test unit there to work with some of the space-ready subsystems we have acquired. The CubeSat project is a multi-year project now in its fourth year. Led in previous years by Betsy Li (’18), Michael van der Linden (’19), and Kathan Roberts (’20), the project is now led by Raghavan, a current Sophomore in Pauli Murray college and is majoring in Applied Math. Raghavan has previous experience as a member of last year’s CubeSat project team. “I really like the fact that this project is trying to go outside this earths atmosphere. It epitomizes space exploration and going beyond the earth. It is an ambitious project, and … it pushes then boundary of what we have done,” said Raghavan of the project. The team is receiving extra guidance and assistance from Senior Engineers Milo Brandt and co-president Andrew Krzywosz. Project Seconds are Claire Laffan (’21) (Alpha/Beta Detector Payload), Michael Linden (’21) (Power and Solar Systems), Annie Polish (’21) (Radio Communications), Lukas Baker (’21) (Mechanical Design; Sensing and Control), and Jackson Petty (’21) (Computer Systems and Programming).